The Web Transaction Monitor configuration dialog contains two forms. The first one allows you to configure, record, and replay an HTTP Request sequence to form a transaction. The second one contains additional settings used in transaction replay (such as browser emulation, a proxy server address, etc.). Although you can create a list of HTTP Requests forming a transaction manually, the most effective and easy way is to use the WTM Recorder (that lookslike a Web browser). 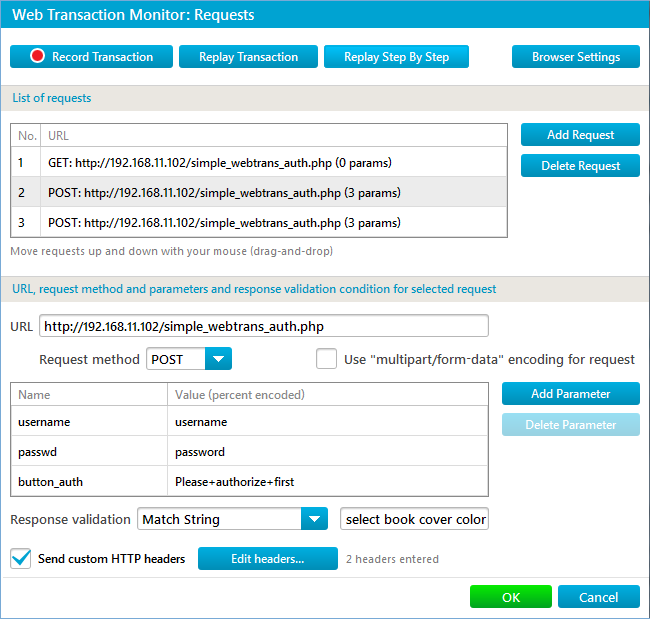 Press the Record button to start the WTM Recorder andcapture automatically all the HTTP Requests sent to the web server while you navigate a target Web site. To make sure that a transaction has been recorded correctly and the resulting monitor will work correctly press the Replay button. There is a Request list that forms a transaction in upper part of the form. Requests can be added and removed using the Add Request and Delete Request buttons on the right. To change the Request order drag the URL using the mouse and drop it to a new position. Either GET or POST can be set in the Request method field. For POST requests you can further specify whether “multipart/form-data” encoding should be used for parameters. This is used to submit forms that contain files, non-ASCII or binary data. The request URL is entered in the URL field. Parameters List is a list of parameters to be passed along with the HTTP request. Parameters can be added and removed using the Add parameter andDelete parameter buttons. Each parameter has a name and value. The value should be a URL encoded (percent encoded) string. $hidden This value means that during transaction replaying this parameter value should be taken from the HTTP result obtained at the previous step. This allows submitting forms with hidden parameters. “multipart/form-data” encoding should be used in Requests with these parameters. The Response validation field: you can specify whethera particular string should be searched for in the HTTP response and whether or notit should be present. The default setting is ‘None’ (no response validation). 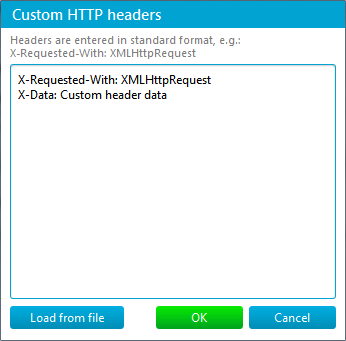 Send custom HTTP headers check controls whether additional HTTP headers will be sent. Edit headers… button opens editor where you can specify headers in common format, e.g. “X-Requested-With: XMLHttpRequest”. You can also use variables like $HostDNS or Load from file pre-saved headers in text format. Note: This monitor does not allow usage of empty or multiline headers, they will be considerd erroneous. 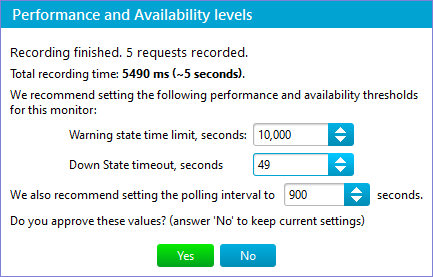 The Ignored resources section allows you to list resources that will not be loaded during polling, so their availability will not affect monitoring results.Enter the URLs of corresponding resources into the text edit field, one URL per line.An asterisk (‘*’) wildcard can be used to match a URLs group or a resource with random URL parts that change each time the monitor polls them. The Proxy server settings section specifies if a proxy server should be used.The proxy servers Host and Port can be set; if the proxy server requiresauthentication the credentials should be selected from drop-down list. You can modify user credentials on Settings -&gt User Credentials page. 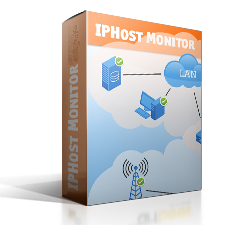 Either HTTP or SOCKS5 proxy server can be used. By default, a direct connection is established. The HTTPS settings section allows you to specify if SSL-related errors should be ignored during polling. By default, any SSL-related error causes the monitor to report problem details to the monitor log and to switch to Down state. 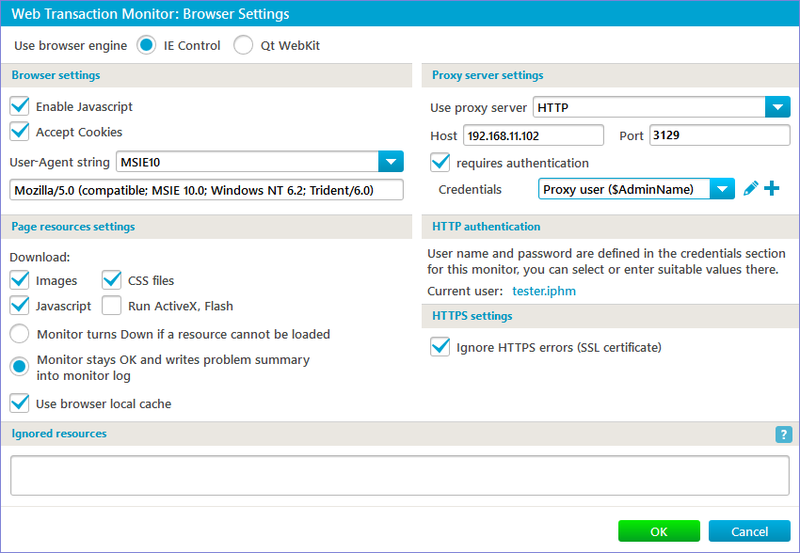 The HTTP authentication section shows the user selected in Credentials section on the monitor Main parameters tab. To activate the WTM Recorder enter a starting URL (by default, the hostname from the monitor settings is used) and press Start. After the first page is loaded you can continue browsing (follow links, submit forms, etc.). After each step a validation string can be recorded and associated with theHTTP Request just captured. 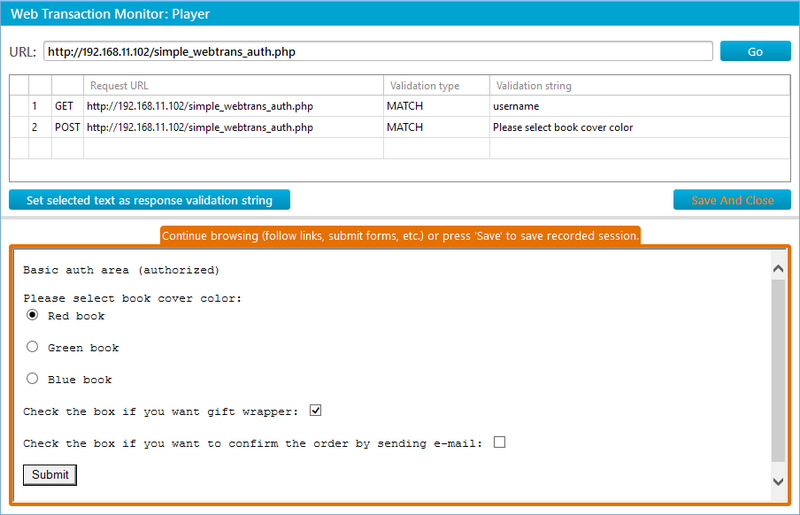 To do so select any text in the page and press theSet selected text as response validation string button. To save a recorded transaction press the Finish button. The HTTP Requests list and parameters will be automatically filled with the data captured. To check if a transaction has been captured successfully press the Replay button in the configuration dialog. After a transaction is saved, you are offered to modify the state conditions sections that are calculated while recording the transaction. 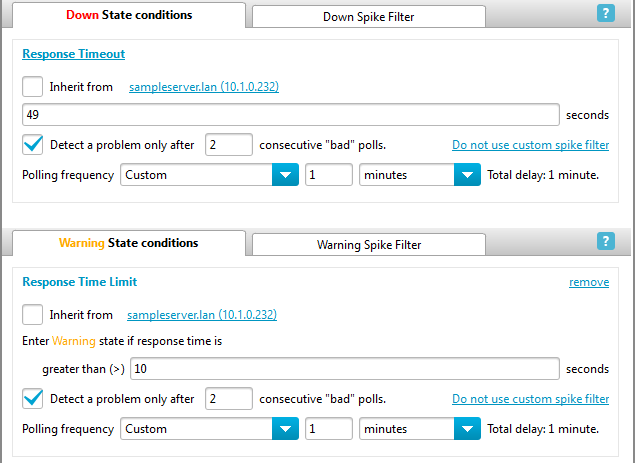 If the monitor is in the OK state, and a poll is delayed for more than 49 seconds (as set in the Down state conditions), the monitor will not change its state to Down immediately. 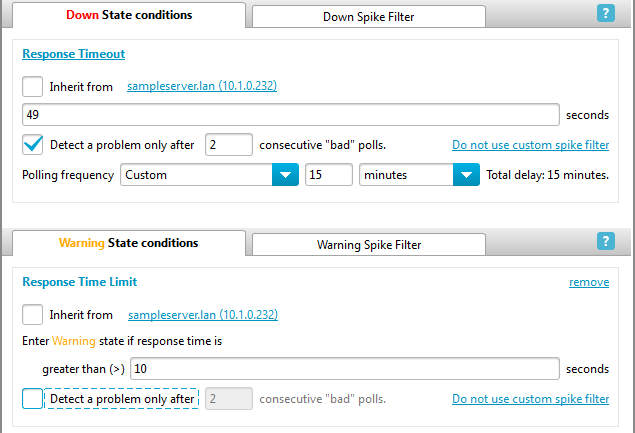 Instead, an additional spike poll will be performed in 1 minute (the spike filter interval) after the failed poll. Only if this additional poll is delayed for more than 49 seconds, the monitor will change its state to Down.